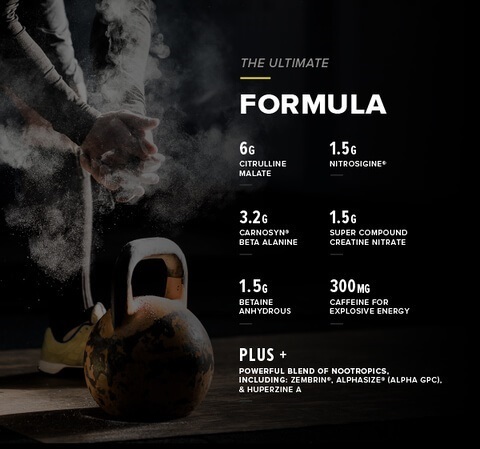 Fitness For The Rest of Us: Cellucor C4 Ultimate Pre-Workout: The Most Explosive! Cellucor C4 Ultimate Pre-Workout: The Most Explosive! Looking to get the most out of your workout? Then Cellucor C4 Ultimate Pre-Workout is for you! This specially formulated pre-workout is hard-hitting, intense & contains focused energy! Be the best you & crush your PR's with Cellucor C4! It is low calorie & contains a special focus & energy blend so you can get the most bang for your workout "buck." Keep reading to learn more! Available in an entire line of delicious flavors you will find a few you love: Raspberry Lemonade, Blue Rasberry, Cherry Limeade, Orange Mango, Strawberry Watermelon, and Apple Berry! 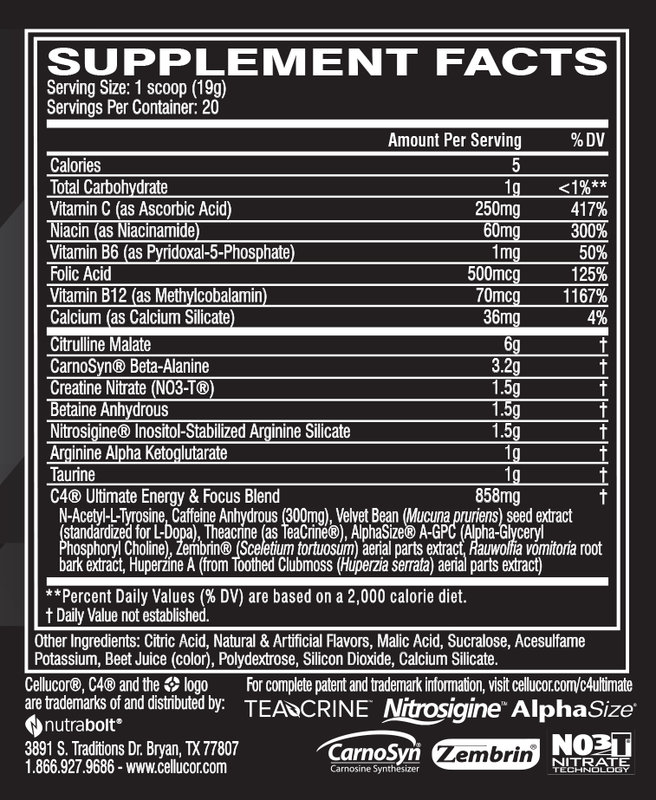 C4 Ultimate is available in two sizes, each tub containing either 20 or 40 servings! C4 Ultimate contains beta alanine, aids in muscle building and growht and is perfect to get you revved up for your workout. Looking for sustained energy to get you through a tough workout? Look no further than C4 Ultimate. 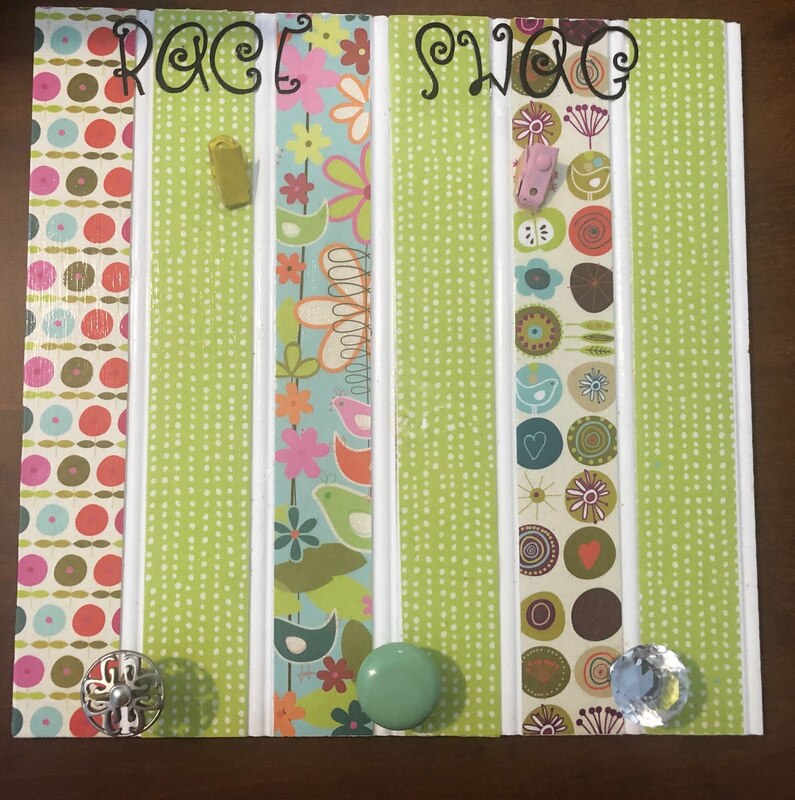 Perfect for cardio, weights, or any combination of them! Even great for those tough pilates, runs, bootcamp, and circuit workouts. Each serving contains less than one gram carbohydrates and only 5 calories! 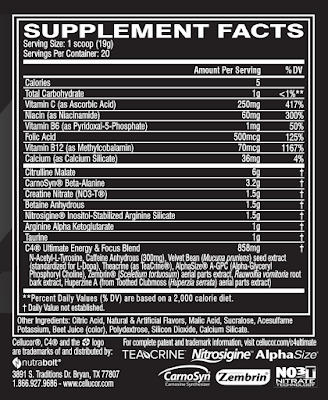 I like this pre-workout because it didnt make me jittery and crazy like some brands I have tried I also love the nutrional stats and the taste! It mixes easily with water in a shaker cup-not chalky or hard to mix. It definitely gives me an energy boost that I can feel taking effect and allows me to push it harder & sustain the energy throughout my workout. I use it for all my workouts and love the energy boost! C4 is packed with powerful ingredients that your hardworking gym body needs & loves. This specialized formula contains nootropics, mood enhancers, pump amplifiers and endurance boosters to ensure you will crush that tough workout & keep you coming back for more. Kill that last rep, get through that last set and pick up the heavy weights that have been on your horizon with C4 Ultimate.